Soul Survivor. - Mississippi Believe It! Home » Resources » Campaign » Soul Survivor. Among all the great independent R&B labels of the past, only one remains today, bringing the soulful, faithful, joyful noise of Blues, Gospel and Soul music to the world – Mississippi’s Malaco Records. Since 1967, Malaco has brought iconic recording artists to the forefront, winning scores of Grammy, Stellar and Billboard Music Awards along the way. 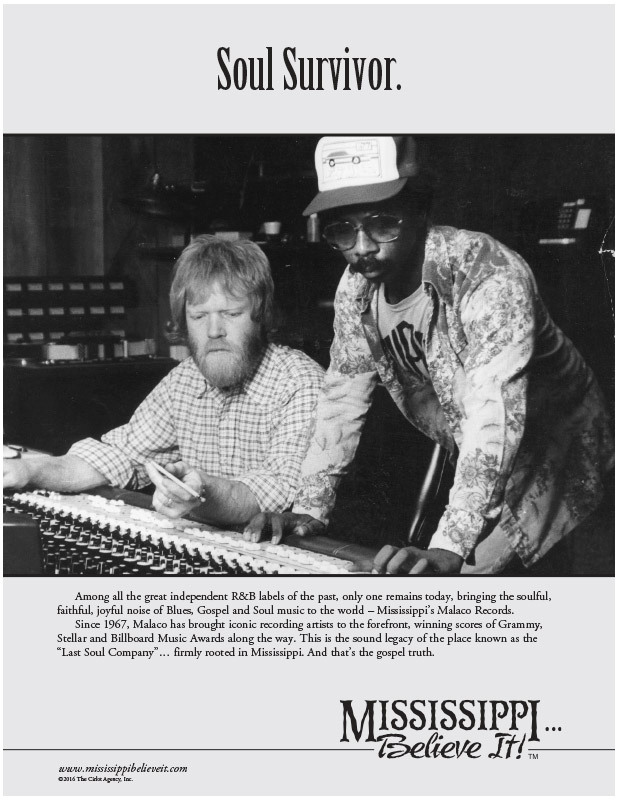 This is the sound legacy of the place known as the “Last Soul Company”… firmly rooted in Mississippi. And that’s the gospel truth.